We started off with some drinks and sushi. 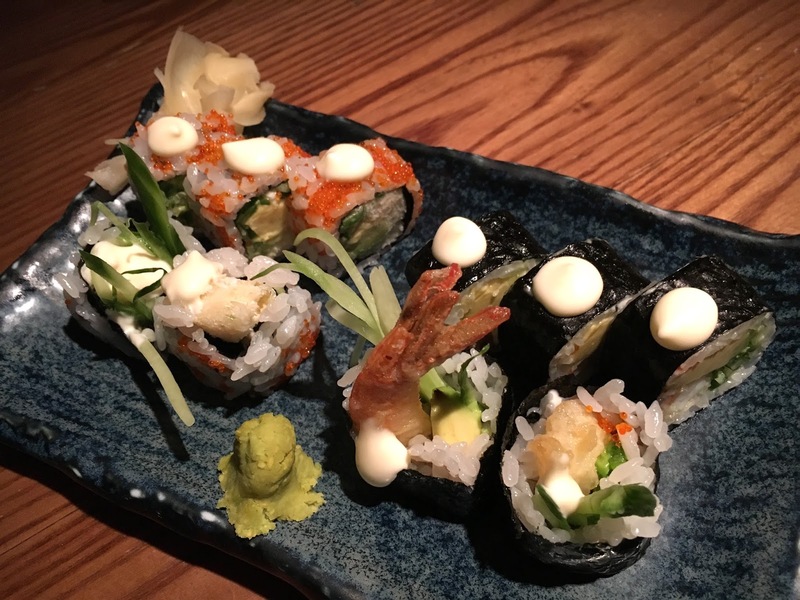 The sushi was fresh with great flavour combinations. 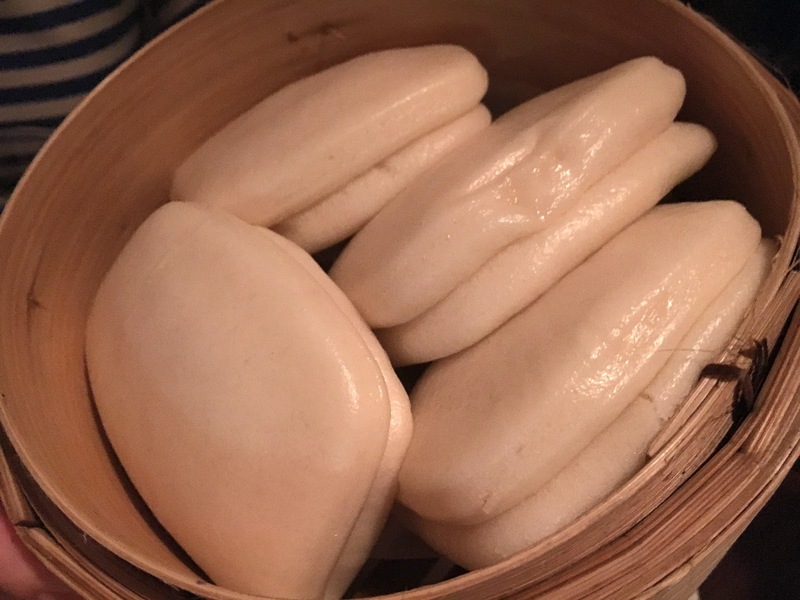 Then came our 'flesh' to go with our buns. 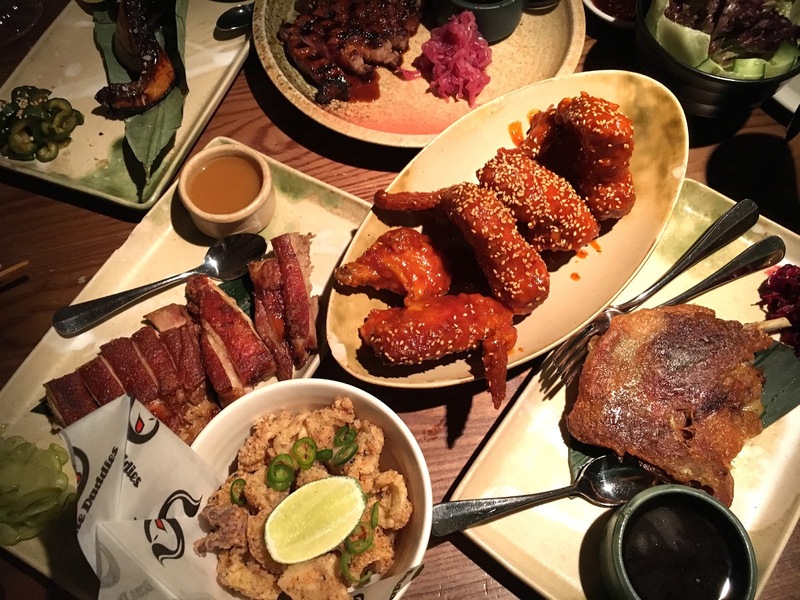 We ordered the crispy duck, crispy piglet belly, sirloin steak and salmon teriyaki. Buns and salad comes separately on the side. 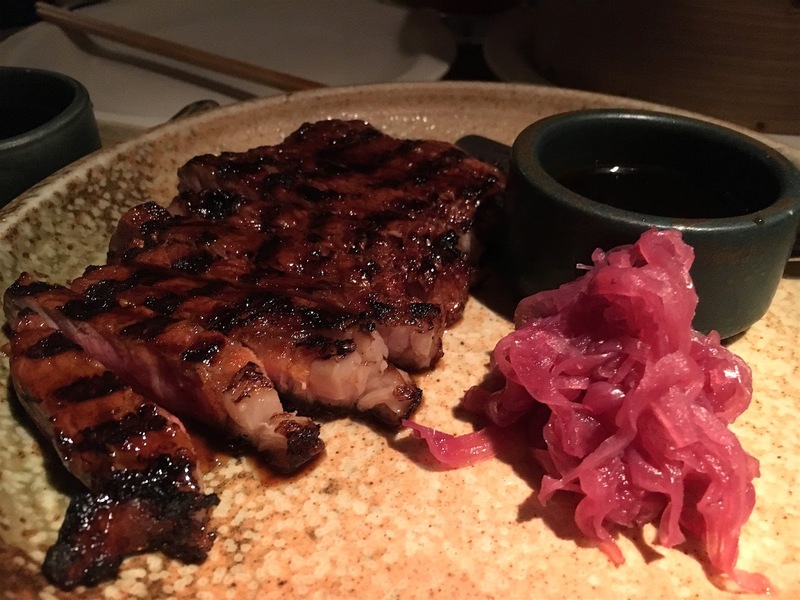 Sirloin steak with BBQ sauce and red onion pickle. The steak was so juicy on the inside with a beautifully charred and smoky exterior. The BBQ sauce wasn't overly sweet which I loved, and coupled with the pickled onion, all the flavours together were fantastic. 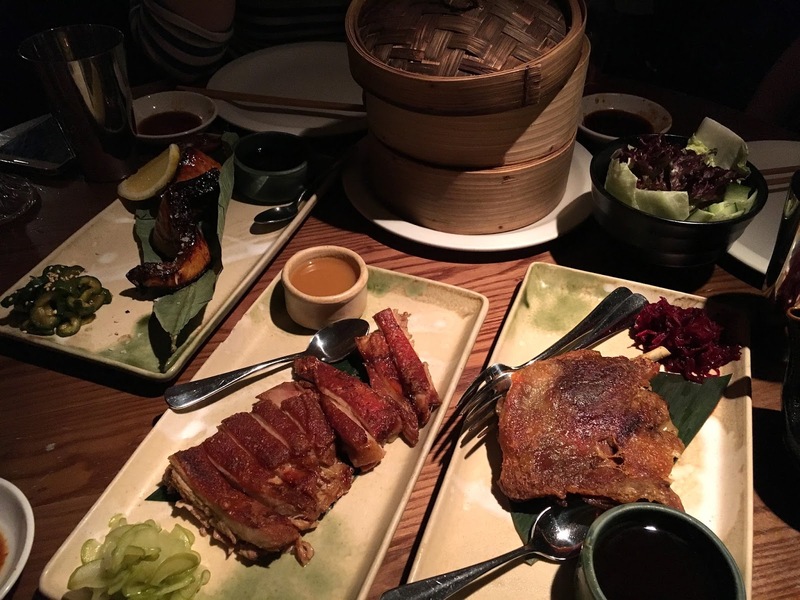 Crispy duck, sour plum soy with beetroot pickle. 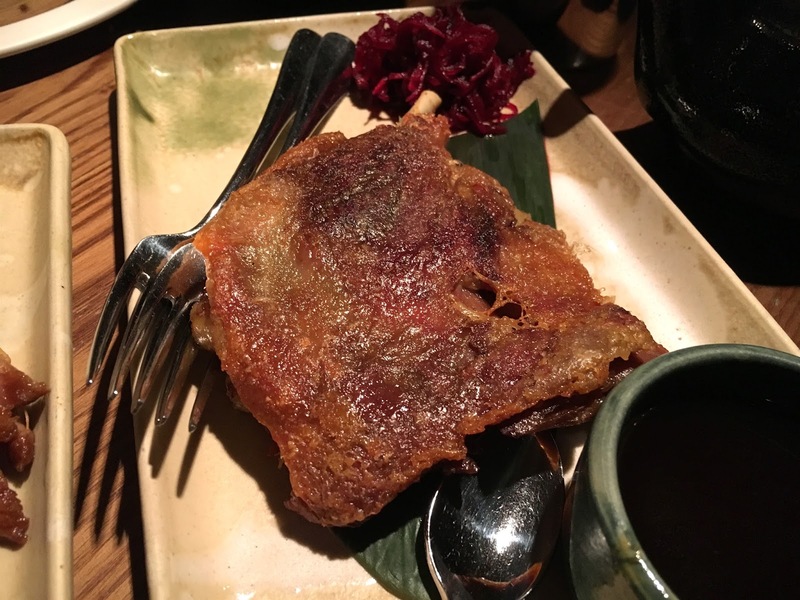 The crispy duck was non-oily, succulent on the inside with perfectly crispy skin. The sauce was a perfect combination of sweet, salty and tangy and did great to lighten the duck meat. The beetroot brought even more zing to lift the dish further. Crispy piglet belly with mustard mayo and pickled apple. This was my favourite! 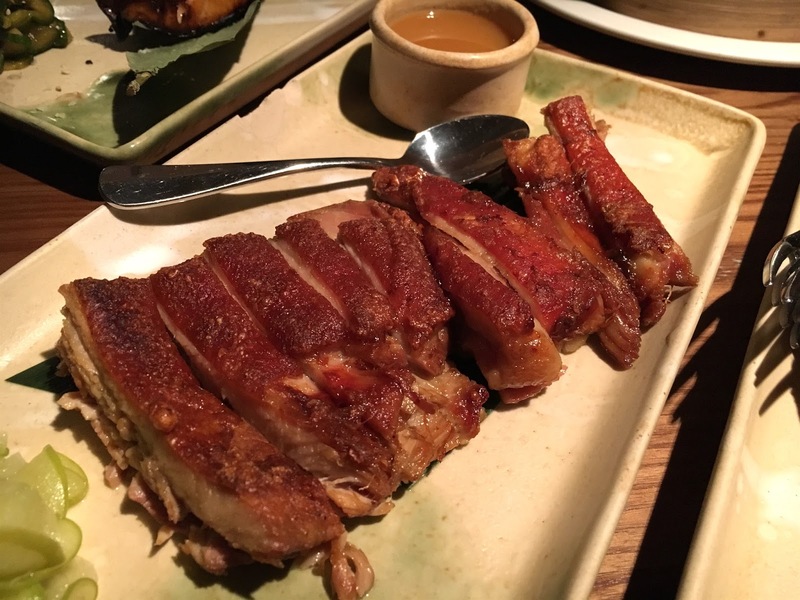 Juicy and tender suckling pig with a gelatinous layer of melted fat underneath the crispy skin. The mustard mayo was mellow and added the right amount of spice, and I just loved the addition of apple in pickle form. So much more refreshing than apple sauce and brings all the elements of the dish together. 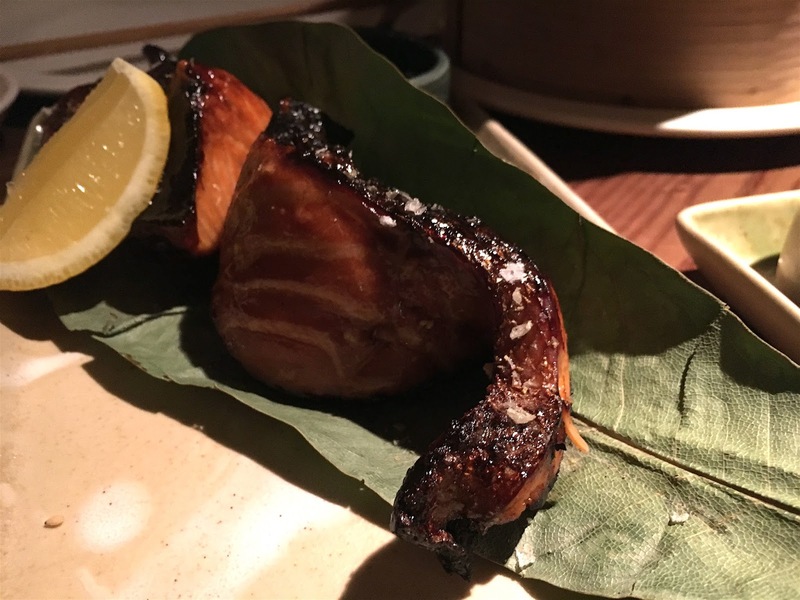 Salmon teriyaki was the most disappointing out of all the flesh as it was a little too charred and carried a burnt aftertaste. Also being too overcooked meant all the natural and rich fish oils had disappeared. 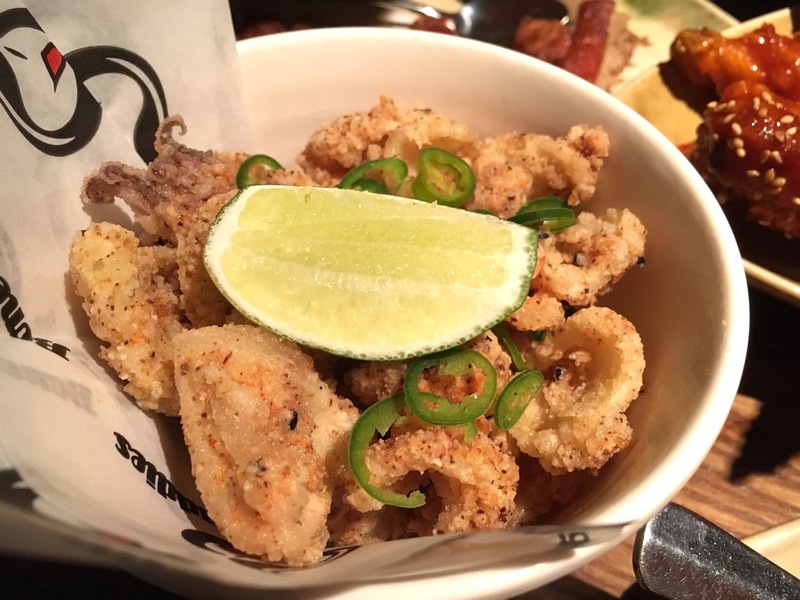 Fried squid with Japanese pepper and lime. Perfectly bouncy nubbins of squid in a crispy and non oily batter. The salt, shichimi pepper and lime was all that this needed. So good. 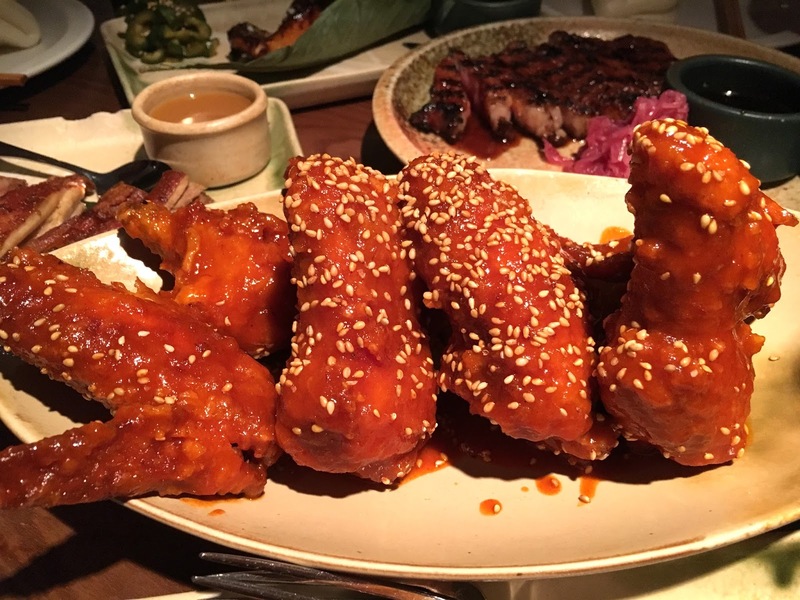 Korean fried wings were unfortunately coated with a sauce that was overly rich and overly tangy, but they were good value for money as they were quite huge. It wasn't awful, I've just had much better elsewhere. And now for desserts! 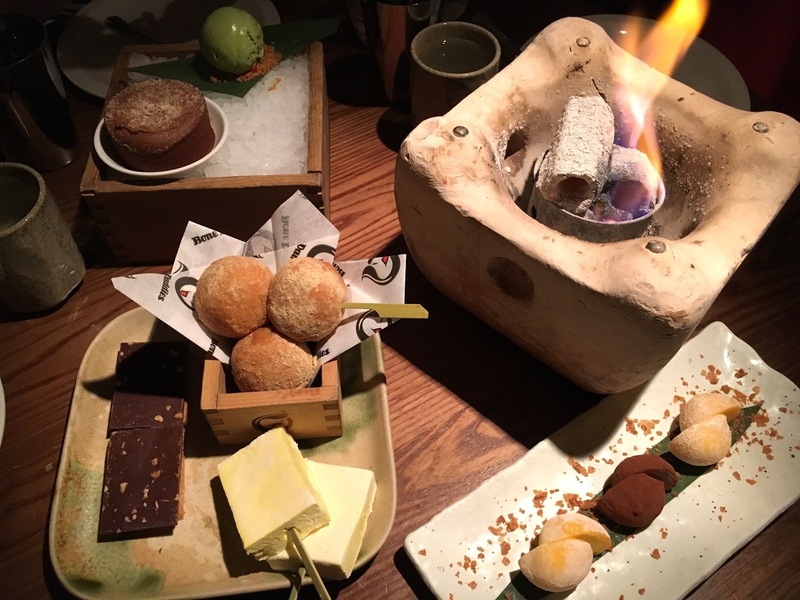 Desserts were so hard to choose, we all wanted something different on the menu so we ended up with a dessert each and sharing it together. 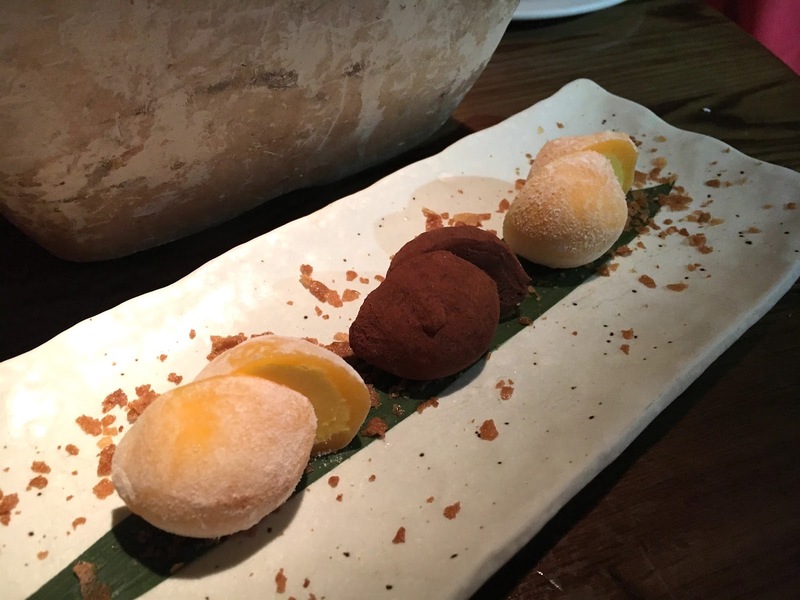 Mochi ice cream in 3 flavours. The mango was my favourite whilst the girls polished off the chocolate and the other flavour which I've now forgotten. 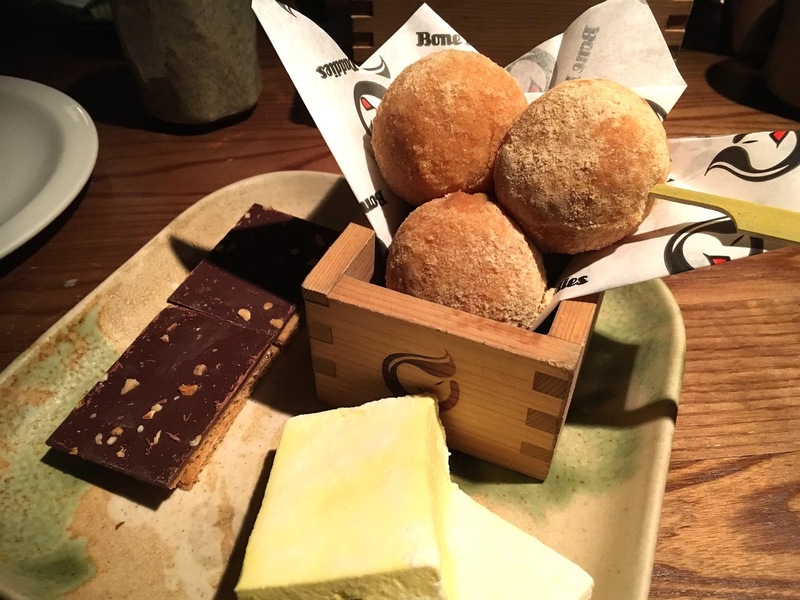 Kinako doughnuts with black sugar custard. I'm a sucker for kinako (roasted soya bean flour) and for black sugar since it reminds me of my honeymoon in Japan. These were light and fluffy, and not overly sweet. 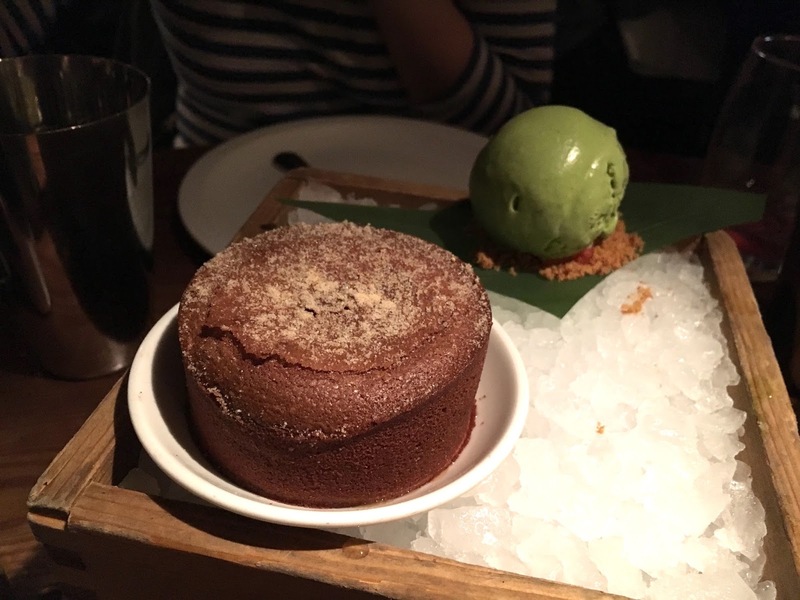 Chocolate fondant with matcha ice cream. The chocolate fondant perfectly executed; warm, cakey, with chocolate oozing out from the middle. Paired with the slightly bitter matcha ice cream, it's a dessert match made in heaven. But the star of the evening had to be the s'mores of course! 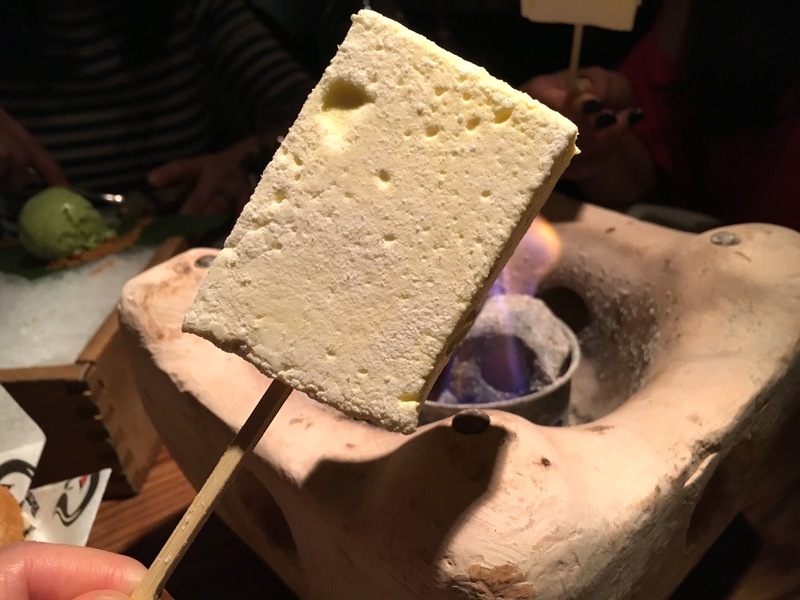 Homemade passion fruit marshmallow toasted on a dramatic and spectacular personal flaming pit. The marshmallow was absolutely divine. Tangy, sweet and melty from the fire, we managed to make it catch fire on the table and it dribbled everywhere before somehow slipping it onto the chocolate biscuits and transporting the whole thing to our mouths. So much fun and such a yummy dessert. 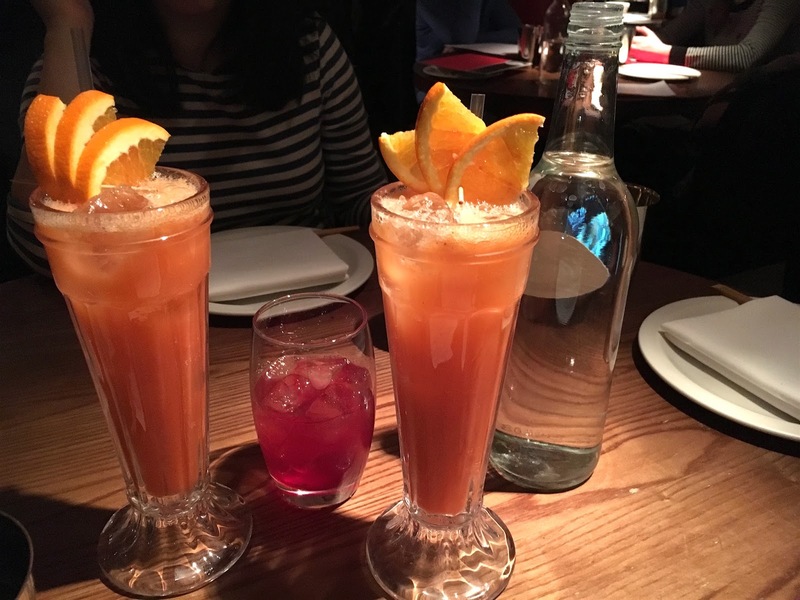 The bill came to around £40 per person (no alcohol) which I thought was great value for money considering the quality of the food and the master skills of the chefs. From starters to mains to desserts, there was so much goodness in the flavour pairings, yet non were overwhelming (the majority) and all shone in their own way. I cannot wait to come back again for another meal. 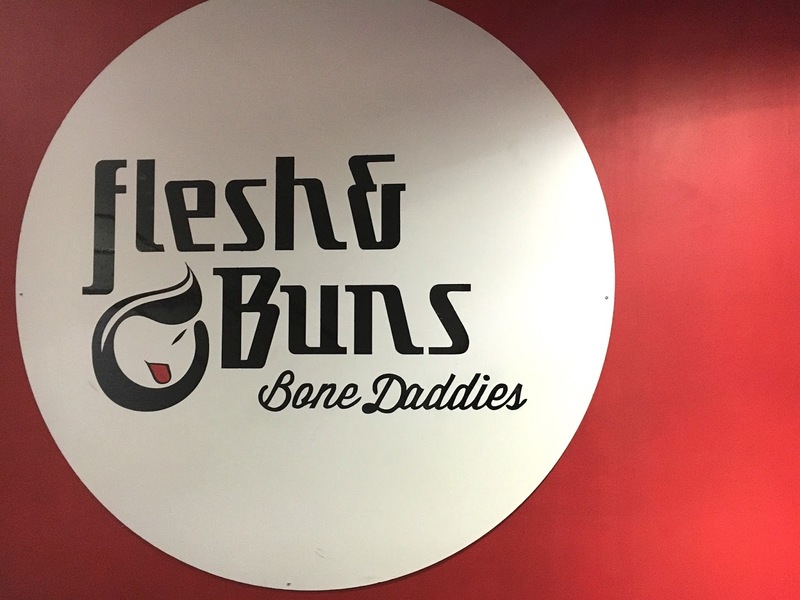 I love Flesh and Buns, it's such a fun concept.